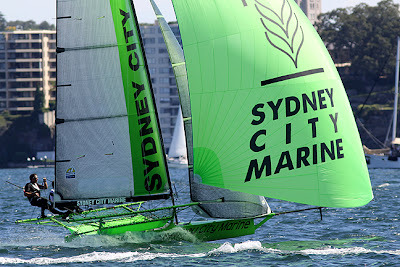 The Rabbitohs-Kenwood team of Brett Van Munster, Joel Castle and Kurt Fatouris dominated the fleet for an easy victory in Race 6 of the 3-Buoys Challenge Series on Sydney Harbour today. 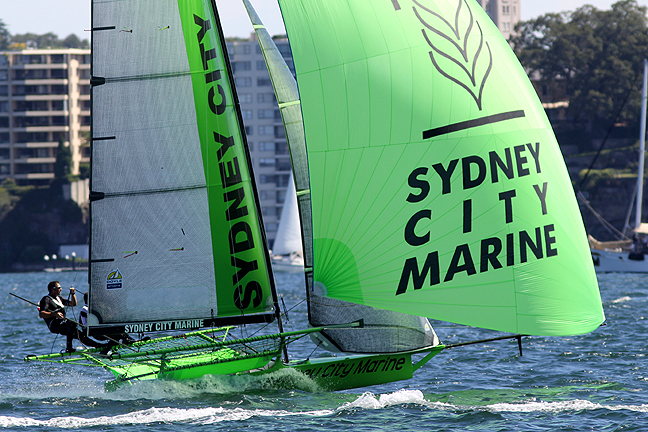 Brett and his team sailed a brilliant second windward leg to grab the lead and were never in danger of defeat as they raced away for a 1m56s win. 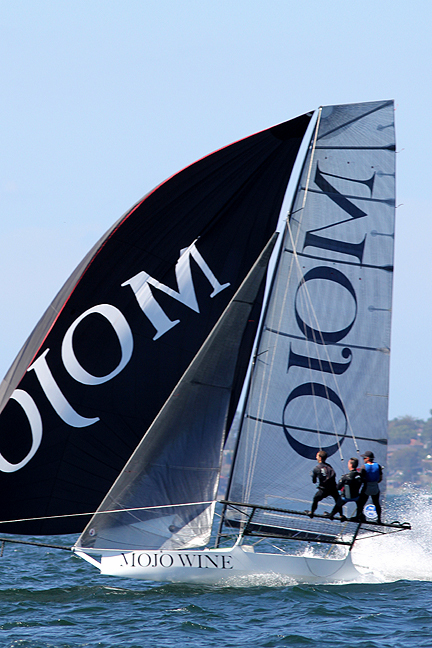 Marcus Ashley Jones, James Dorron and Jeronimo Harrison finished strongly to take second place, with Mojo Wine (Chris Nicholson, Mike McKensey and Greg Dixon) a further 1m3s back third. Michael Coxon’s Thurlow Fisher Lawyers sailed a strong race from the back mark and has also taken a narrow lead in the series with just two more races to be sailed. 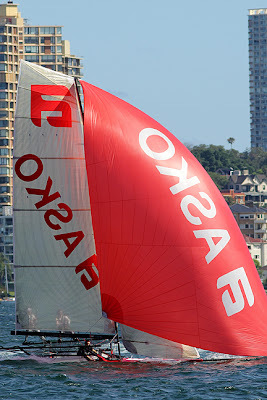 Fisher & Paykel (Grant Rollerson) was fifth, followed by Yandoo (John Winning), Smeg (Nick Press) and Haier Appliances (Rick Peacock). 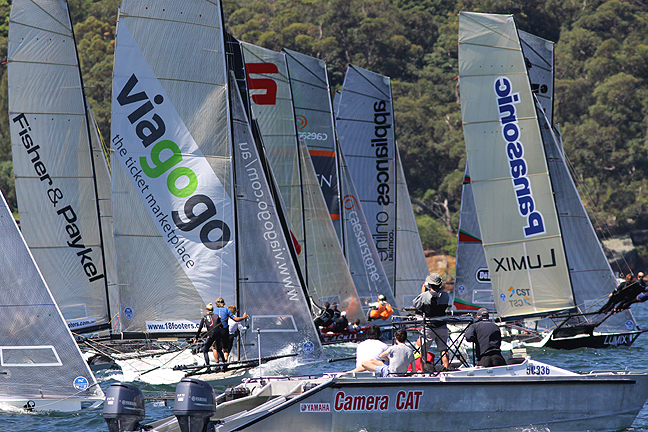 After an unusually bad weather start to the season, the fleet was greeted with a 12-15-knot ESE breeze, which gave the teams a chance to bring out the big #1 rigs. 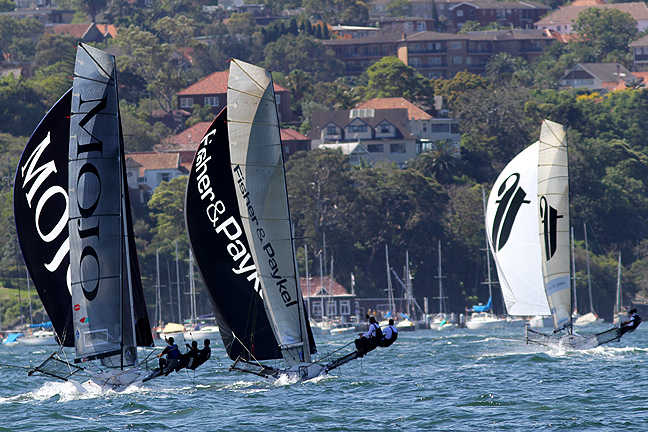 The race to the first set of windward marks was a great battle for the lead between Mojo Wine, Thurlow Fisher Lawyers and Gotta Love It 7 (Seve Jarvin). 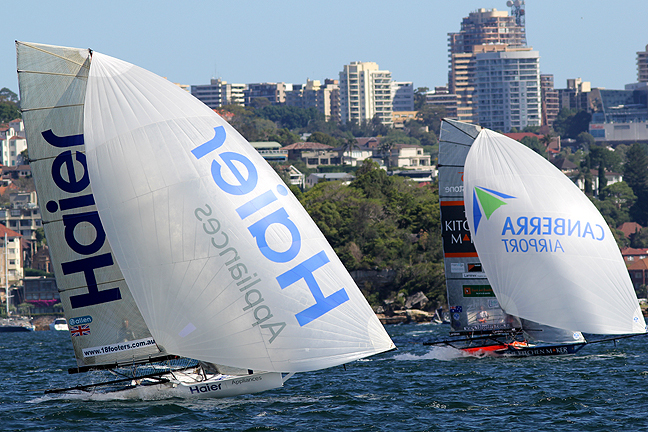 Lumix (Jonathan Whitty), Rabbitohs-Kenwood and Haier Appliances were also just behind the three leaders and challenging strongly. Mojo Wine was first to reach her blue buoy but Rabbitohs-Kenwood had the advantage of a red-buoy rounding to join Mojo in the lead. The long spinnaker run back to the bottom mark near the start saw Mojo Wine in the lead from Lumix, Thurlow Fisher, Rabbitohs-Kenwood, Fisher & Paykel and Haier Appliances. Spinnaker halyard problems on Gotta Love It 7 as she approached the rounding mark saw the team drop towards the back of the fleet and out of contention. When Rabbitohs-Kenwood established her winning lead at the second set of windward buoys, the race for the minor placings took full interest of the spectators. Thurlow Fisher Lawyers led a tightly bunched group down the next spinnaker run. 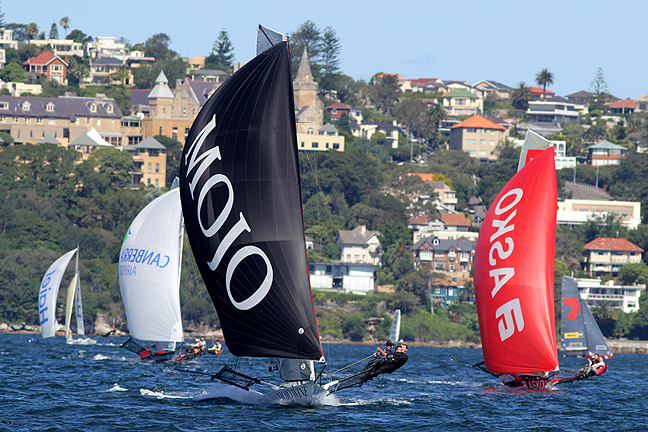 Fisher & Paykel was third, followed by Mojo Wine, Asko Appliances, The Kitchen Maker (James Francis), Smeg and Yandoo. 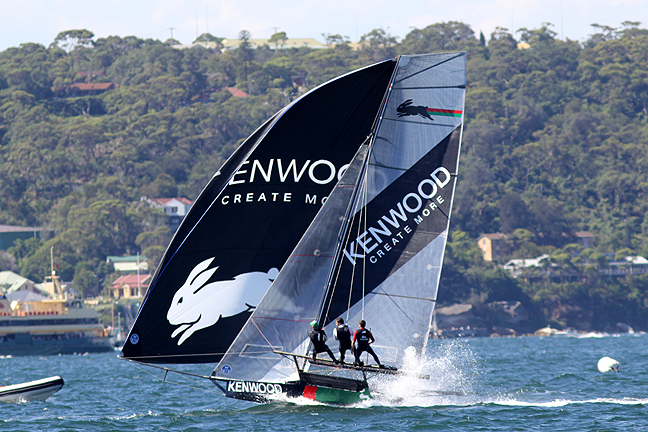 With the leading team sailing a faultless race Rabbitohs-Kenwood increased her lead for a well deserved victory.